We received Outstanding Performance and Highly Commended status from the BHS for the seventh year in a row. 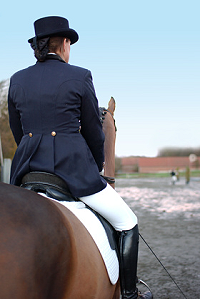 We took the latest research showing that dressage horses should be ridden on different surfaces very seriously, and contracted MM Arenas to replace or refurbish the surfaces on all three of our arenas – two outdoor and one indoor – giving us the luxury of three totally different surfaces: sand, sand and fibre mix and woodgrain. We also upgraded our washbay, tack room and WC facilities, and re-tarred the driveway. Our grooms continued to work their way through the British Grooms’ Association Equine Skills CV competency programme, completing yet another level to add to their qualifications. We hosted two vet students for their practical work experience, and held several British Dressage Judge Training events, Catherine Eardley clinics, and an ARC Equine Unit demonstration. We received Outstanding Performance and Highly Commended status from the BHS for the sixth year in a row. Lorna Anderson, yard owner, became the Accredited WOW and Flair Retailer/Fitter for the North and North East of Scotland, in addition to SemiFlex and Holistic saddles. 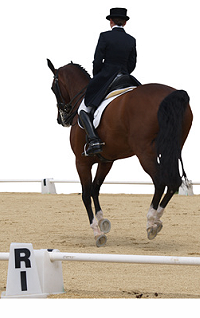 Our grooms continued to work their way through the British Grooms’ Association Equine Skills CV competency programme. 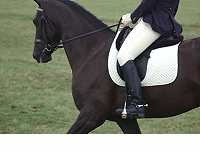 We hosted three vet students for their practical work experience, and hosted Dressage to Music and Test Training clinics. We received Outstanding Performance and Highly Commended status from the BHS for the fifth year in a row. We received Outstanding Performance and Highly Commended status from the BHS for the fourth year in a row. Our grooms worked their way through the Intermediate level of the British Grooms’ Association Equine Skills CV competency programme. As well as working on the yard to learn about the care and production of competition horses, our veterinary student intern from Cambridge University trained on and successfully competed horses from Intro to Medium dressage. We received Outstanding Performance and Highly Commended status from the BHS for the third year in a row. Our grooms embarked on the Equine Skills CV competency programme, working their way through the Foundation level to establish a common baseline. A new woodgrain surface was installed on our outdoor dressage arena. We were awarded BHS Approved Livery Yard & Facility Centre Outstanding Performance and Highly Commended status for the second year in a row. A new silica sand and fibre mix surface was installed in our indoor school. Over the summer we hosted pre-vet-school interns keen to learn about the care of both leisure and competition horses. Dressage interns from the UK and Ireland came to learn more about the choice, care and production of dressage horses. Hogholm was the only Scottish yard to be nominated by the BHS Regional Inspector for Outstanding Performance in addition to Highly Commended status.